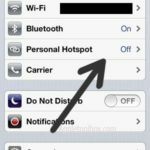 Verify that your carrier supports Personal Hotspot for your device and that you have Personal Hotspot enabled on your cellular plan: Your wireless carrier must offer Personal Hotspot to be able to use this feature. 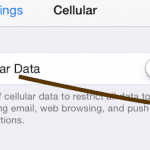 And you may need to enable Personal Hotspot on your cellular data plan.Please contact your carrier for more info. iPhone 3G and iPhone 3GS can share a connection with USB or Bluetooth. iPhone 4 or later and iPad (3rd generation) Wi-Fi + Cellular can share a connection using Wi-Fi, USB, or Bluetooth. 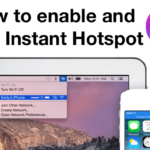 If you see an “Unable to Join” or timeout , make sure that you remain on the Personal Hotspot screen until the first device connects. Then you may use your phone normally. Hotspot will stop after 90 seconds of inactivity. 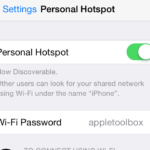 You can start again by tapping Settings > Personal Hotspot. Disable Personal Hotspot then Turn off Bluetooth and turn on WI-Fi and now turn Personal Hotspot ON and stay on this screen until other device is connected. 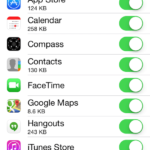 Turn off cellular (Settings > General > Cellular), then turn it back on a few seconds later. To avoid unnecessary charges, turn off Personal Hotspot when you are not using. My iPhone 4 sees the internet well. My mac, running Maverick, sees the phone but I cannot access the internet on my computer. This is an intermittent problem. I used to be able to hotspot my Iphone 6 to my Macbook Pro lap top. I am doing the same procedure I have done since the beginning which is turn my hotspot and and connect iphone to macbook. I have reset network settings, turned off and on phone and still no hotspot. I called my network and they indicated that there is no issues with their service.